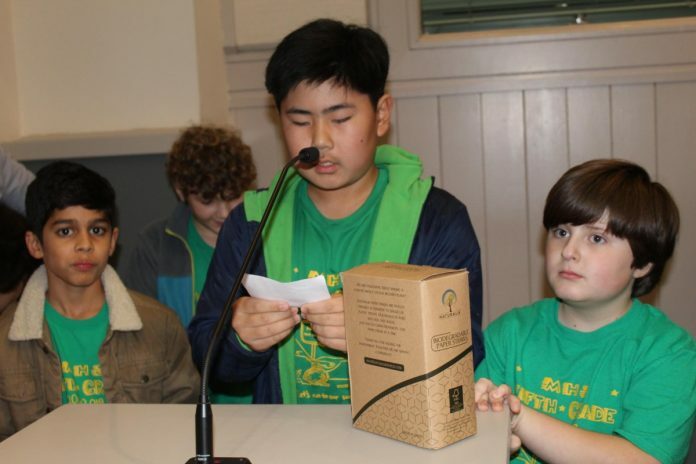 PHOTO: Bill Glazier | SouthPasadenan.com News | Scouts talked about the importance of using paper straws during last week’s City Council meeting. Want a plastic straw in a full service restaurant? You’ll need to ask for one under a new law signed by Gov. Jerry Brown aimed at cutting down on pollution. The change covers full-service dining starting in 2019 but not in fast-food establishments. PHOTO: Bill Glazier | SouthPasadenan.com News | A local scout troop from Monterey Hills Elementary School was busy passing out paper straws during last week’s City Council meeting. The new norm will be paper straws as a local scout troop stressed while in attendance during last week’s City Council meeting. Following a brief presentation about the harmful effects of plastic straws, the scouts greeted council members and the mayor at their seats handing out the paper variety. 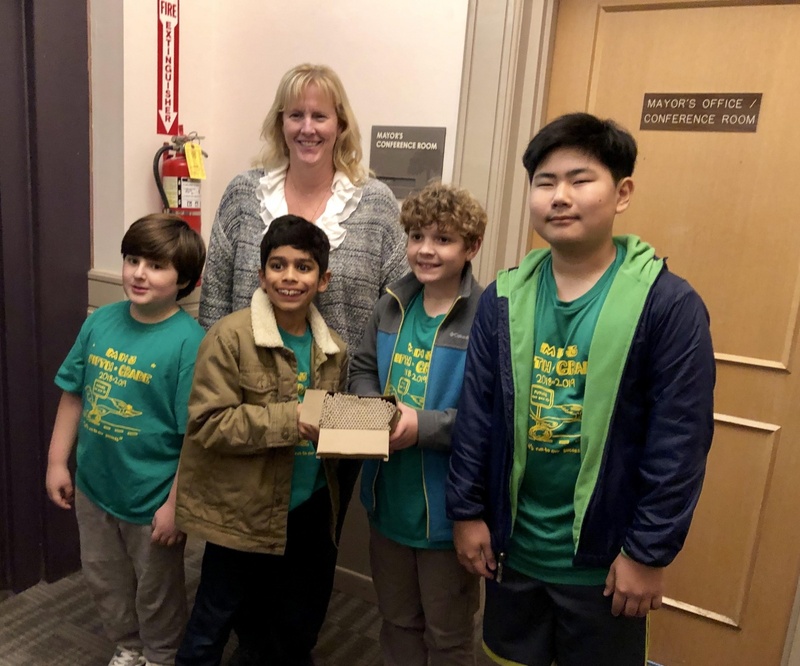 Peter Roseman, Ishaan Mehta, Ethan Burger and Wyatt Morimoto-Woo from Monterey Hills Elementary School earned praised from the council after showing the initiative to remind audience members and those watching on television from home about the importance of reducing plastic from the environment. 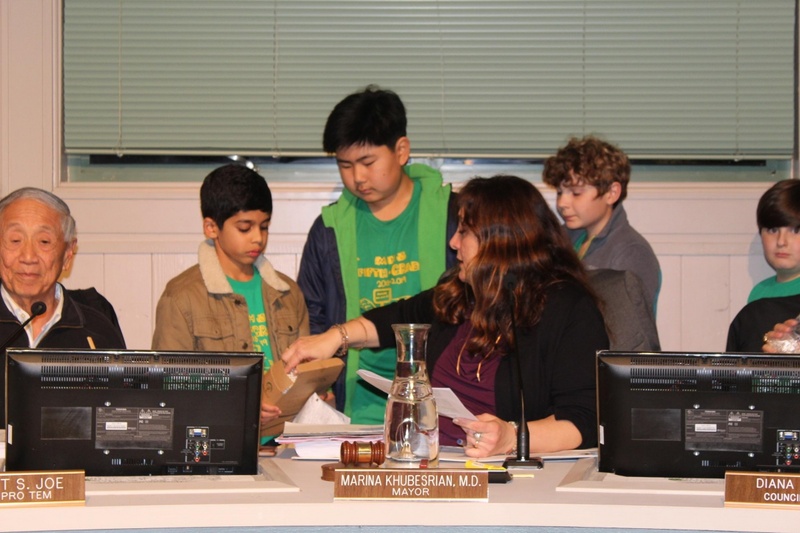 PHOTO: Bill Glazier | SouthPasadenan.com News | South Pasadena Mayor Dr. Marina Khubesrian pulls out a paper straw distributed by members of a local scout troop during last week’s City Council meeting. The scouts will be out in force Thursday passing out paper straws during Thursday’s farmers’ market in town, and again on January 31 as they urge shoppers to go plastic free when it comes to straw use. 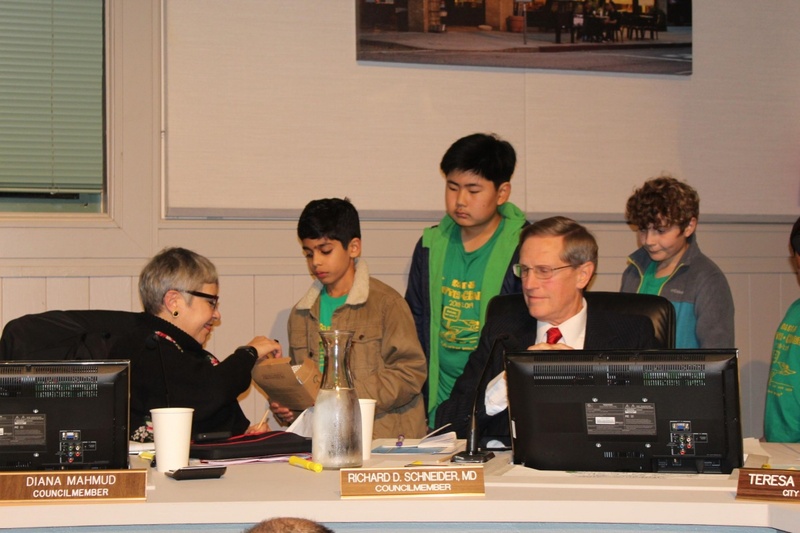 PHOTO: Bill Glazier | SouthPasadenan.com News | Council members Michael Cacciotti and Robert Joe were given paper straws by a local scout troop during last week’s City Council meeting. The goal is zero waste. 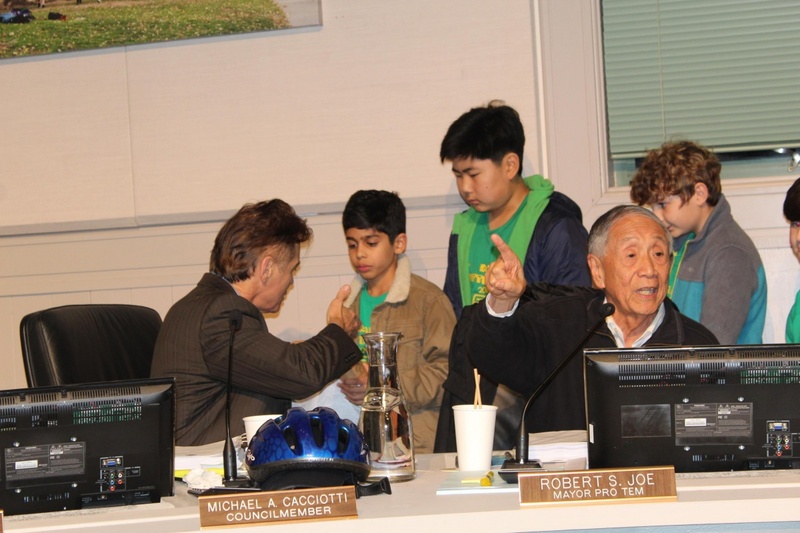 PHOTO: Boy Scouts of America | SouthPasadenan.com News | A local scout troop, including Peter Roseman, Ishaan Mehta, Ethan Burger and Wyatt Morimoto-Woo, from Monterey Hills Elementary School passed out paper straws during last week’s City Council meeting. They will be at the Farmers Market on Thursday and January 31 passing out paper straws and literature about reducing plastic use to protect the environment. They are joined by the city’s Community Services Director Sheila Pautsch.